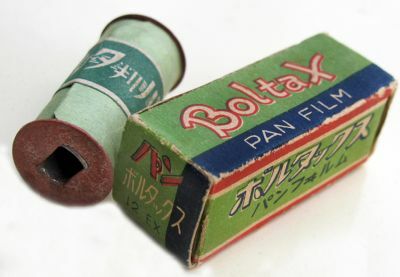 Boltax Pan Film, unperforated Roll-film for 12 exp. on 25x25 mm. to fit the German Boltavit camera, and others with this film format. Made in Japan.